Danish juice producer Orana has teamed up with Kenyan farmer and entrepreneur Marion Moon, whom Director Niels Østerberg met at last year’s DI Business Summit. In five years juice company Orana will have doubled its revenue, predicts Director Niels Østerberg, who has left daily operations at the company to devote himself to new projects – primarily in East Africa. Here, the company is planning to build a world-class banana processing plant “in the middle of nowhere”, as the director puts it. After this, a new factory will be opened approximately every other year, producing other fruits that are central to the company’s raw material supply. He presented the plans to the 21 other companies participating in the project “From Philanthropy to Business” at a boot camp at DTU Skylab 23-24 August. “Without access to raw materials, we have no business. We therefore want to ensure access by partnering with local players who have networks and expertise and establish agricultural production on virgin soil, where we can be sure to get good, unpolluted raw materials,” says Niels Østerberg. 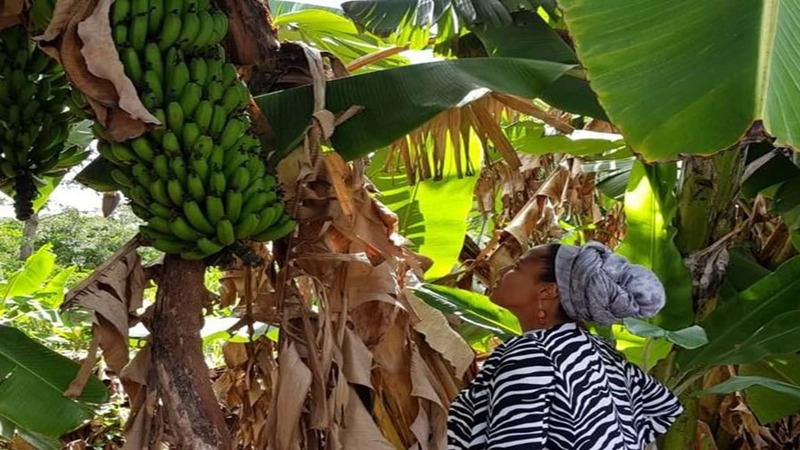 For its banana production, Orana has partnered with Kenyan organic farmer and entrepreneur Marion Moon, whom Niels Østerberg met at DI’s summit 2017. “The partnership with Marion has opened up opportunities such as a coffee meeting with the Kenyan Minister of Industry, where I presented our plans, and he asked what he could do to help – to which I answered that he could help us avoid red tape. He did, and it wouldn’t have been possible without Marion’s help,” says Niels Østerberg. At the boot camp at DTU, the 21 participating companies were tasked with presenting their individual visions and ambitions for contributing to the UN’s 17 Global Goals. 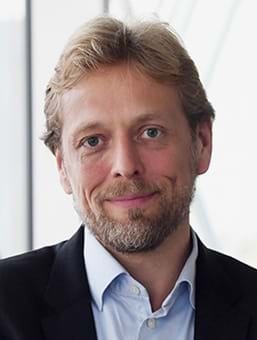 Niels Østerberg and the rest of the company’s team also carried out the exercise, even though the Global Goals as such are not hugely important for the director. “We have always contributed to reaching the Global Goals by abiding by the Ten Commandments and Danish virtues. However, the Global Goals have given us a common vocabulary and common goals with staff and customers all over the world. In that way, the goals create great value, and participation in this project helps us better to identify and communicate what it is that we do,” says Niels Østerberg. He highlights that the company contributes to increased equality, education and prosperity, among other things through its activities in Vietnam, which were illustrated in the “Women Deliver” exhibition that travelled Denmark and the rest of the world in 2016. “Social work and soft values are part of our DNA, but our clients are increasingly requesting documentation. For example, we were recently in negotiation with IKEA, where we brought along our technicians to explain our quality assurance and many other things. But the only thing they asked about were the soft values,” explains the director. He believes that it is necessary for the company constantly to be ahead of the game when it comes to CSR, even though it doesn’t always pay off directly on the bottom line. “We formulated a CSR policy in 2007, and it has been hugely valuable for us, even though it wasn’t something our customers focused on at the time. But it’s nice to have it ready when customers ask for it instead of having to sit down and formulate it when the requests start coming. And customers will definitely ask about the Global Goals too,” says Niels Østerberg. At the same time, he also believes that many of the initiatives can have a positive impact on the bottom line. “For example, we’re going to work on finding solutions to process our wastewater so that cleaning agents and other pollutants are separated from organic waste water. When we do that, we’ll have wastewater containing substances that treatments plants normally have to pay to add in order to treat the wastewater. So I think they should actually pay us to supply that to them,” says Niels Østerberg. Time will tell whether or not Niels Østerberg is able to convince wastewater treatment plants to pay for his wastewater. But in any case, the project “From Philanthropy to Business” has given Orana an opportunity to sharpen its strategy. The same is true for the other twenty companies, says Jacob Kjeldsen, Director of DI International Business Development. “The goals and visions the companies have presented at the boot camp show that they’ve undergone a journey. It’s been more difficult for some than for others – for instance, the bigger companies are probably further ahead in relation to sustainability. On the other hand, they face the challenge of having their CSR efforts spread across several different departments. It’s sometimes easier for smaller companies to make the strategy a core value throughout the entire company,” says Jacob Kjeldsen. Among others, he highlights the vision formulated by Peter Larsen Kaffe as a very concrete vision that shows extraordinary ambition. Their vision is “0% waste, 100% recyclability”. The vision is currently a work in progress, and in the SDG course the company is putting together the strategies and action plans required to realise it. “It’s a vision that will help the company maintain its position as a market leader in sustainability, and in order to fulfil it the company must look all the way up and down its value chain,” says Jacob Kjeldsen. The next step in the course is that companies go home and get started with concrete steps and initiatives that can eventually be converted into business. “It’s co-financed by the support the project has received from the Danish Industry Foundation, but it will cost blood, sweat and tears to properly realise the visions. The support from the Danish Industry Foundation is intended as a help to get started, but the companies themselves will have to invest. We look forward to seeing what they come up with, and we’re certain that it will serve as inspiration for many other companies,” says Jacob Kjeldsen.